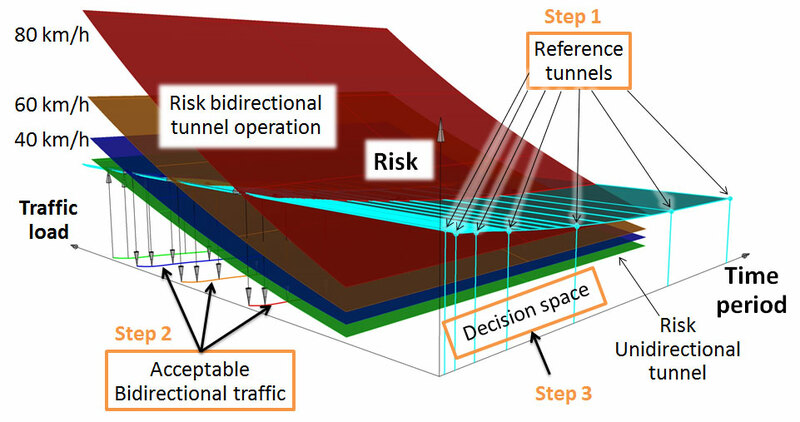 An advanced multiple-criteria decision analysis was performed for the client to support the decision about an optimal operation of the tunnel during specific tunnel operation conditions. It was performed for the use by the tunnel operator to manage risk in a bidirectional tunnel that was originally designed as a unidirectional tunnel. A need for the bidirectional operation emerged due to a change in the road network (unavailability of a parallel/alternative road). 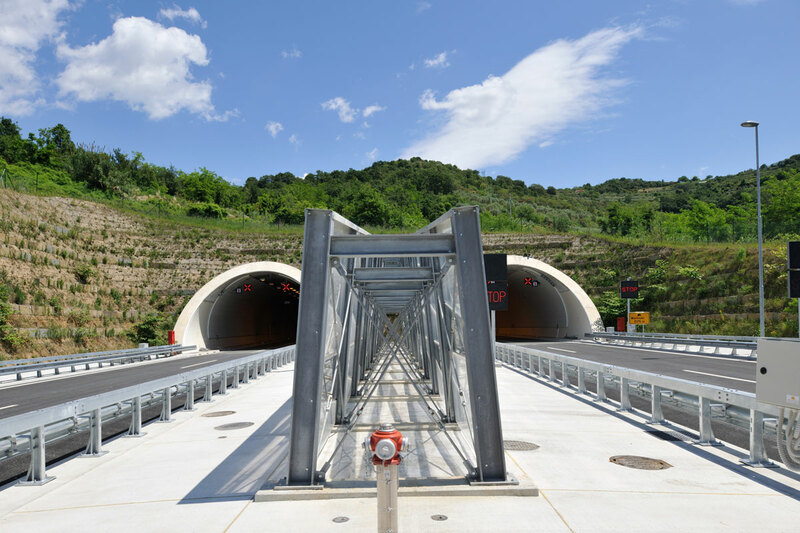 Due to its role in the road network, the tunnel has to operate bidirectionally although it had been originally designed as a unidirectional tunnel and therefore lacks conventional elements for a safe operation of a bidirectional tunnel. 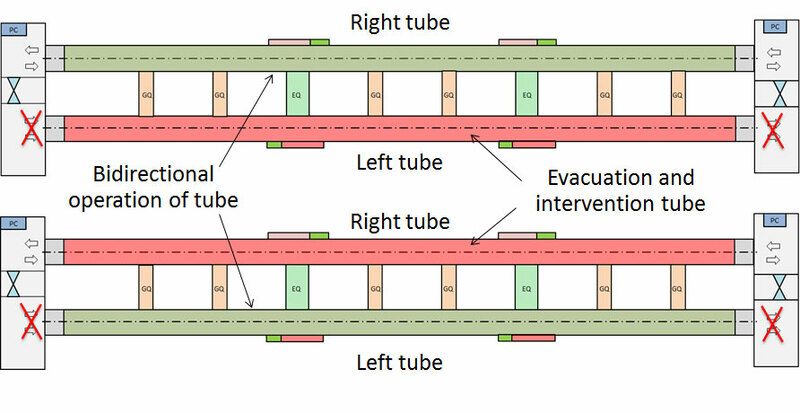 A solution is a method that allows utilisation of alternative, cost-effective safety measures, with which an acceptable safety level is achieved at optimal transport capacity of bidirectional tunnel operation in one tube. A design approach has been changed to reach the goal – a method of a parametric analysis of effects in various tunnel conditions was used. 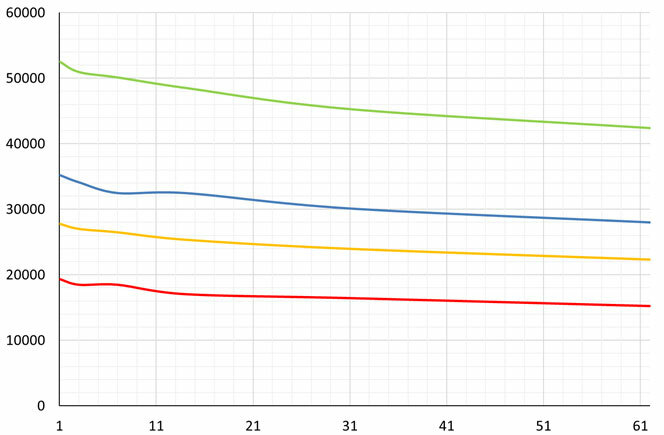 This approach allows us to determine an optimised acceptable multi-dimensional state of tunnel operation and not only a single acceptable state of infrastructure operation since safe tunnel operation depends on a plurality of factors. A huge investment range of possible safety measures with various effects and a dynamic nature of traffic conditions in the tunnel were taken into account. The tool developed in the company is an ideal background basis for ITS solutions (intelligent transport systems), automatization and operation control, optimisation of operation and infrastructure planning by taking social, economic and other uncertainties into account. Project typeRisk-based decision supportLocationKoper, SloveniaYear(s)2017InvestorDARS d.d.